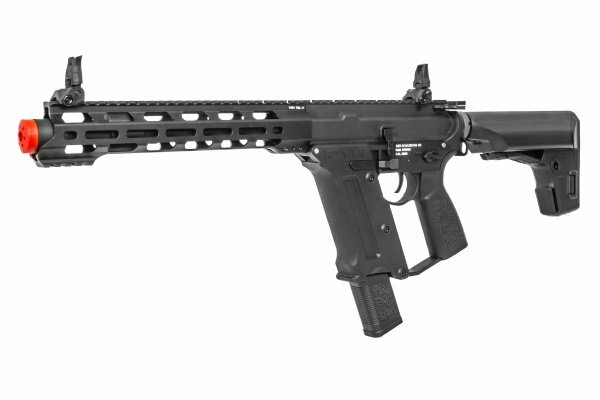 KWA has taken a huge step forward into a new series out AEGs with their new TK.45 line! 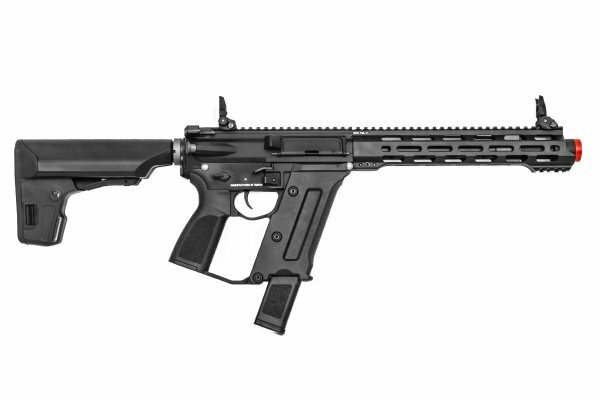 The Ronin Tekken TK.45 3.0 M4 CQB M-LOK model comes equipped with a slender aluminum 10" M-LOK free float rail system and KWA's Kinetic Feedback System (KFS) inside the PTS Enhanced Polymer Stock. Additionally, there is a quick change spring system for switching up the FPS toward optimal settings. The "Tekken" Series has a full metal construction with contemporary billet-styling on both the upper and lower receiver to enhance the aggressive appearance of the AEG. There is a signature feature of the series with the angled polymer magwell that doubles as a foregrip and allows for excellent weapon manipulation. The controls on the AEG come with an ambidextrous, oversized, billet-style magazine and bolt catches and selector switches, complementing the overall design of this modernistic line. Furthermore, the details are hard to overlook pm the ambidextrous charging handle, a first for a KWA AEG. The enlarged trigger guard for gloved hands, and a comfortable, ergonomic pistol grip with custom stippling that also appears on the grip panel of the "Tekken 120" midcap. Internally, the Tekken series are updated with spacing to be able to receive drop-in electronic trigger units such as the Gate TITAN. Also, the AEG contains the recently upgraded high-torque gear set, circuit protecting Switch Life Extender, upgraded high-torque motor, and a reinforced and radiused mechbox. The rotary hop-up has also seen some design improvements and performed beautifully in test runs. As with all KWAs, the Tekkens will come stock with a 6.05 Japanese-made semi-tightbore inner barrel to help maintain accuracy with the new hop-up unit. KWA is definitely challenging the competition with their latest releases becoming one of the most talked about projects in the industry. The Ronin Tekken's near-perfect specs clearly bring a noteworthy contender in several AEG categories. 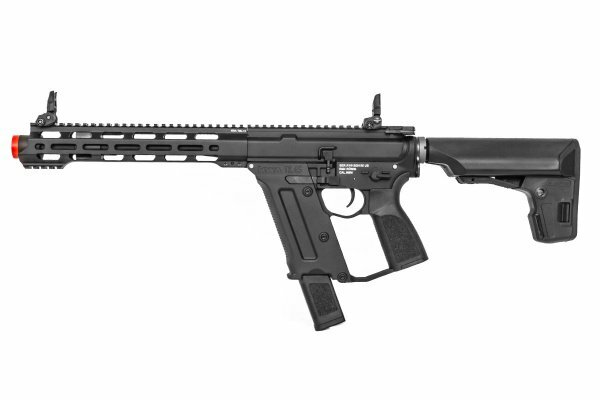 The groundbreaking work in appearance, function, and performance truly hint at KWA's developmental process and what is in store for future releases. They are not the same magazines, but KWA should have their own products ready for market when the gun releases.